Either this cow's face is always like this – prompting the guy to snap a photo with him – or he is a master of the photo bomb. Either way, win. 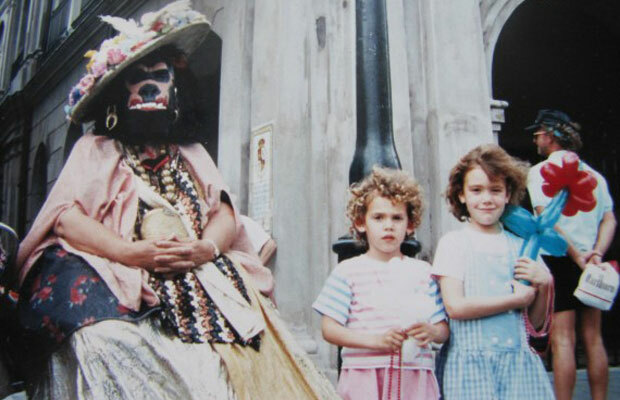 I can't think of a plausible reason why the parents of these two adorable girls would force them to pose with this...woman? Now, I say it with a question mark because I'm still unsure of the gender...and everything about that costume. One of my favorite things to do at amusement parks is look at the photos right after roller coaster rides. Every emotion you could think of is on display. 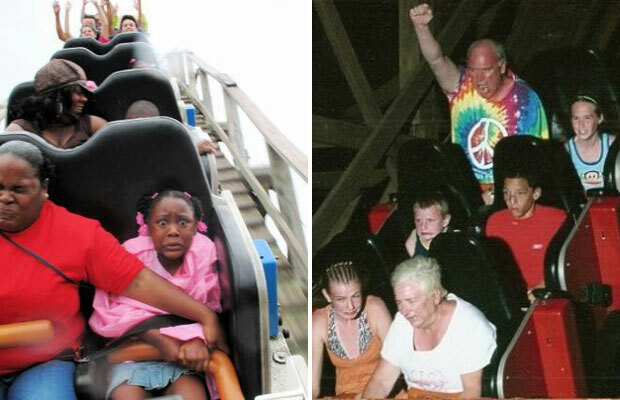 Take these two photos: Tie-dye guy is probably having too much fun, while the girl in pink and her seatmate are struggling a bit more. This man is just trying to make me uncomfortable with the mini horse pose. 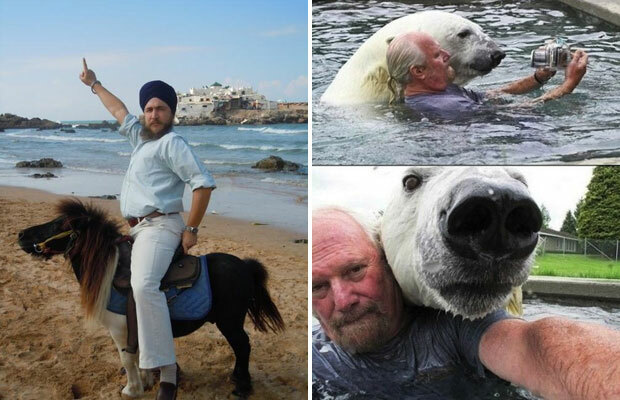 Perhaps even worse is the guy and his polar bear bestie. That's just a mauling waiting to happen. Amiright? Can't get enough awkward? Check out more here!